This simple, straightforward yet powerful guide has already helped hundreds of thousands of people reap the great rewards of meditation. Lawrence LeShan's easy-to-follow and realistic approach allows you to bring meditation effortlessly into your life, no matter how busy you are, or how great the demands on your time. His specific programs and exercises provide proven, practical tools for you to begin your journey and explore the many revealing paths of meditation. "If you have started your journey (or even if you're just considering it), How to Meditate is recommended equipment for the first steps." 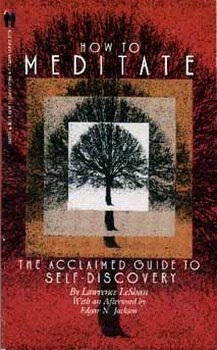 Lawrence LeShan, a pioneer in exploring therapeutic and ethical implications of meditation, is a practicing psychotherapist. The author of The Medium, the Mystic and the Physicist: Toward a General Theory of the Paranormal, he conducts training seminars in meditation.